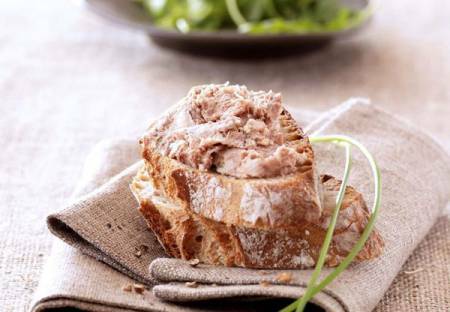 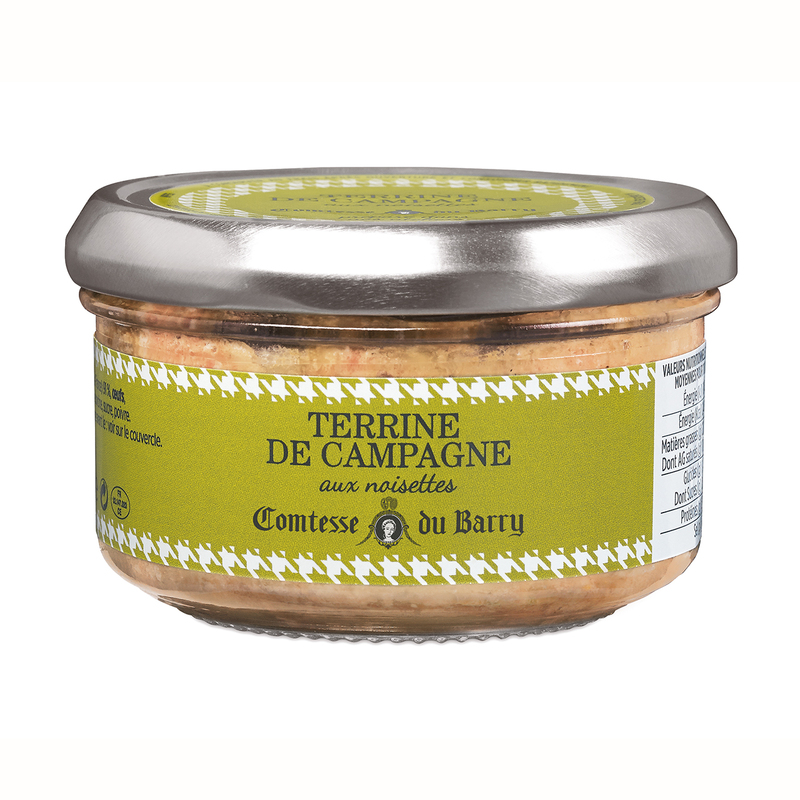 Delicious pork terrine with a subtle hazelnut taste. 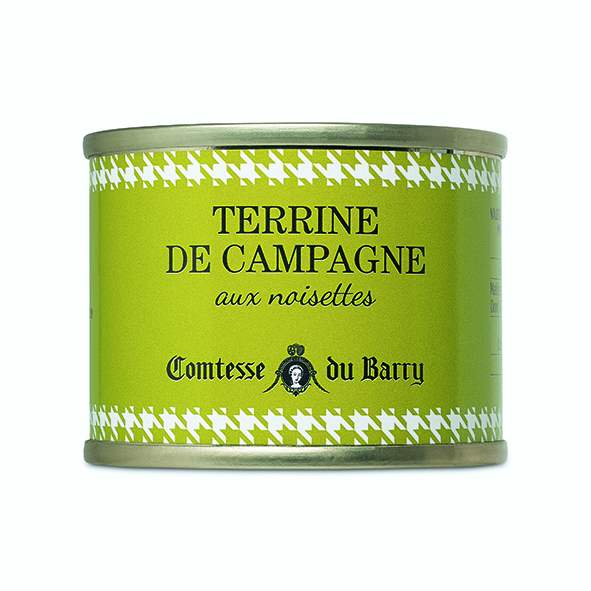 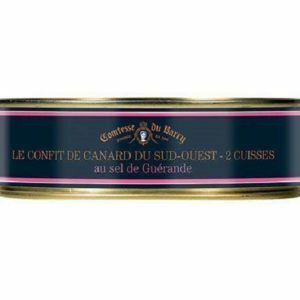 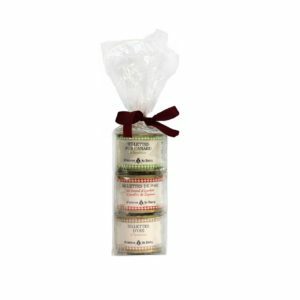 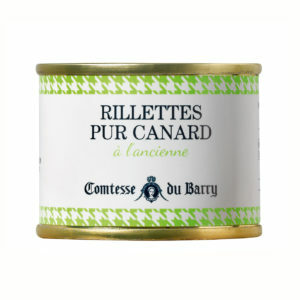 Comtesse du Barry terrines can be served as a delicious first course, in sandwiches, on buffet spreads, appetizers and snacks. 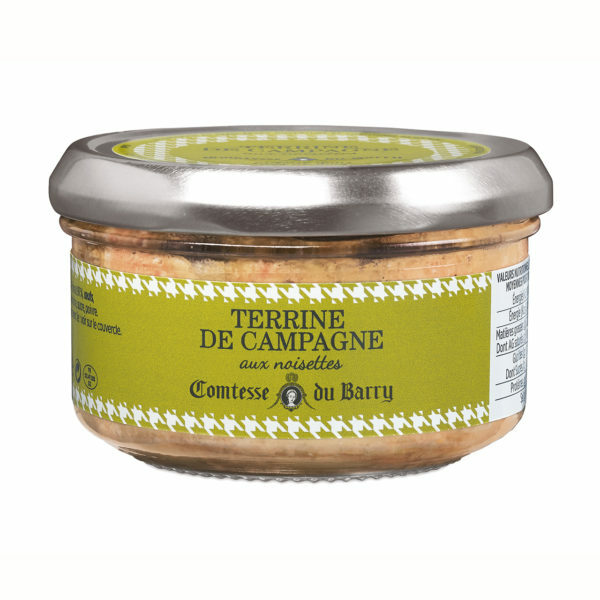 Pork (origin France), pork liver (origin France), egg, hazelnut 2% salt, porcine gelatin, sugar, pepper. 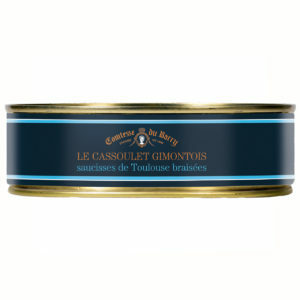 Salt: 1.63g per 100g.